PDF/UA, the PDF standard for universal accessibility, must meet certain conditions in order to be usable with screen readers, braille output devices, or other systems. PDF/UA uses tags to create structured PDF files and alternative text for images, as well as for compliance with linguistic and font-related requirements. 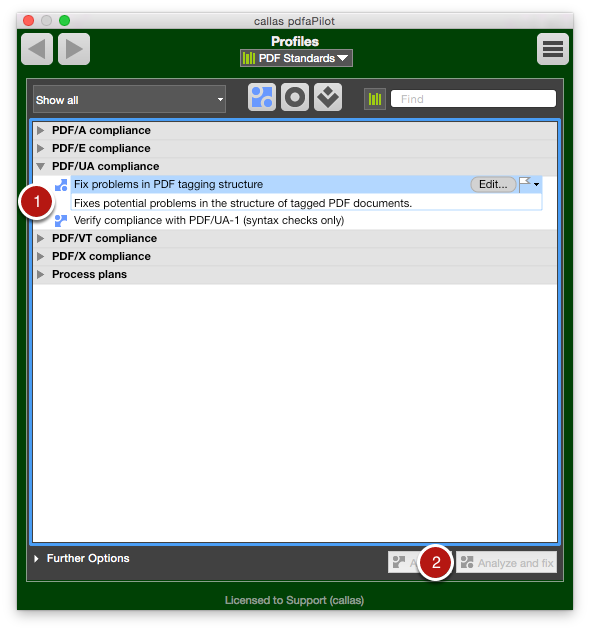 As of version 8.1 of pdfToolbox, PDF files can be tested for compliance with PDF/UA-1. 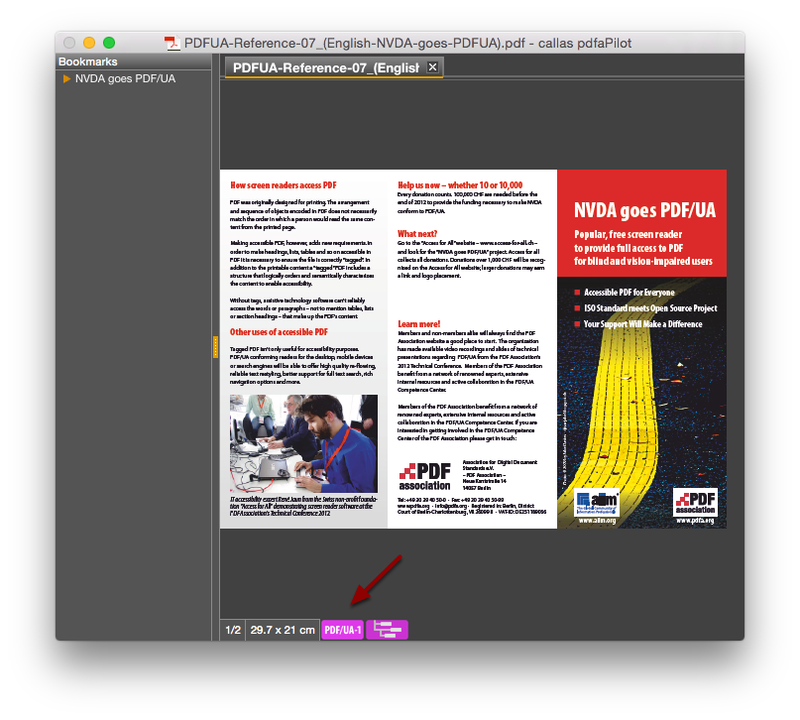 If you open a PDF/UA document, it will be identified with a PDF/UA-1 symbol in the document window (1). As PDF/UA requires tags for structuring purposes, compliant PDF/UA files will also be marked with the corresponding structure symbol (2). PDF/UA files generally also count as PDF/A documents with Level A (Accessible) compliance; in this case, the file is PDF/A-2a-compliant. This will also be identified with another symbol (3). The user can validate PDF/UA compliance by clicking on the PDF/UA-1 symbol (1). 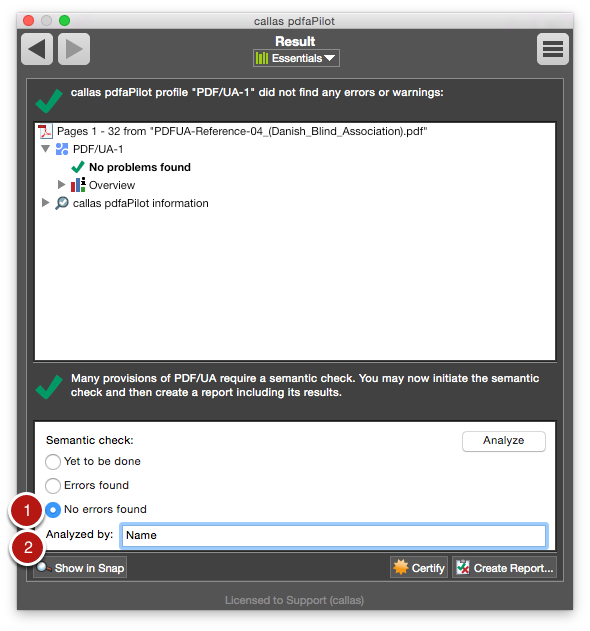 If the existing PDF document really is PDF/UA compliant, this will be indicated with a green check mark (1) and the message No problems found (2) in the Result window. The bottom of the Result window displays additional steps for a Semantic check (3), as not all PDF/UA validation steps can be fully automated. 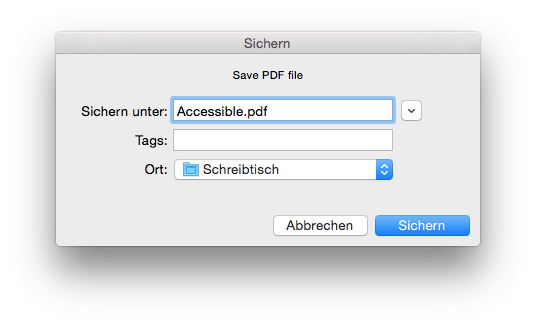 Testing a PDF/UA file's accessibility cannot be done fully automatically. For example, a computer system cannot determine whether or not a document’s structure makes sense. 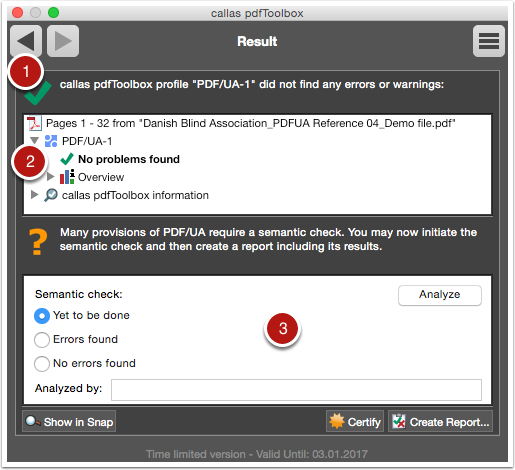 pdfToolbox provides a specific view to make it easier for users to complete the testing process. First, click Analyze. This will open a window in your default browser showing the structure of the PDF document. 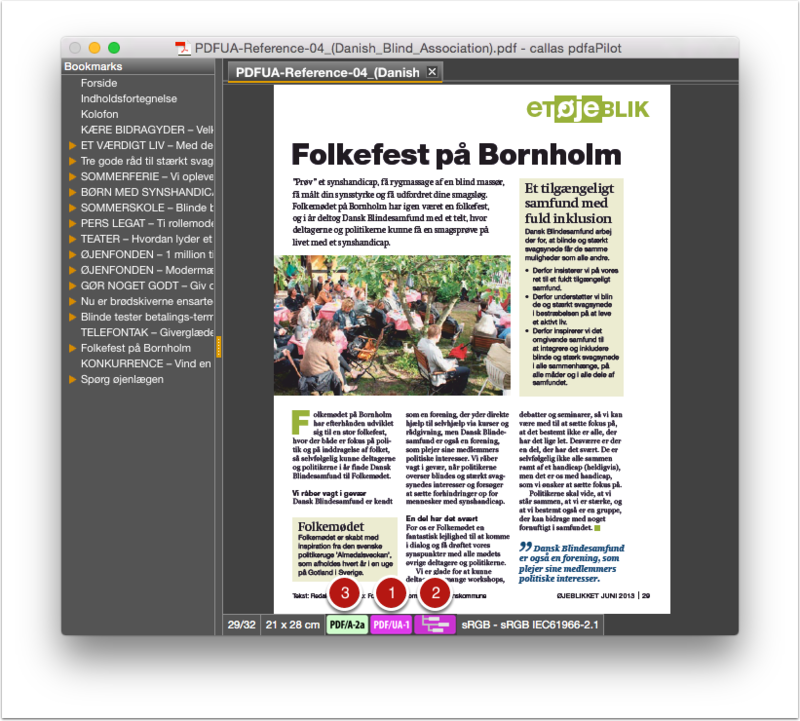 The structure of the PDF file is visible in the browser and is indicated using colored highlights. This makes it easy to check whether the order of chapters, headings and text is correct and to make sure that alternative text is in place for images as expected. And by providing their own name in the “Analyzed by” field. 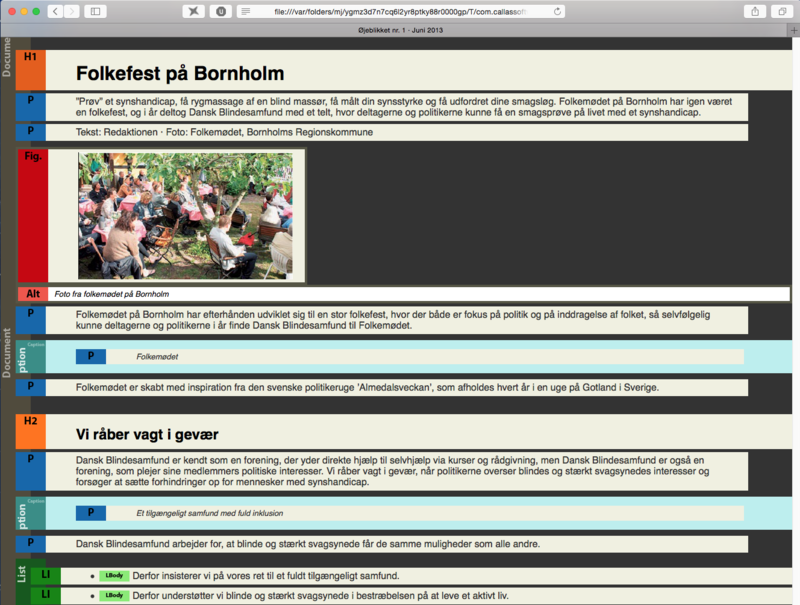 Users can also create a report which lists the results of the check. If problems are identified in the course of the visual inspection, the user can acknowledge this with the “Errors found” radio field (1). In this case, the user can enter their name in the “Analyzed by” field (2). They can then create a corresponding report containing this information. Not all PDF documents identified as PDF/UA-1 will successfully pass an accessibility test. Click on the PDF/UA-1 symbol to begin the validation process. The Result window will display a red X symbol to indicate that problems were encountered during validation. In the example shown here, the Detail view indicates that there is a font-related problem. The software can resolve some common problems related to PDF/UA files. Click “Check and fixup” to begin the Fixup process. The user has the option of first saving the PDF document under a new name by clicking Save as copy. If the Fixup has been successful, this will be indicated with a green check mark in the Result window. The Detail view will indicate which Fixups were applied. Users can then carry out the Semantic check as described previously.